The adoption of Bitcoin as a globally used cryptocurrency is a slow and time-consuming process, yet despite the pessimistic statements of many experts, every day the dream seems to be a little closer. Following in the footsteps of other countries like Australia which decided to accept Bitcoin as a form of payment for airline tickets, Argentina has taken a step forward in Latin America by integrating the use of crypto into the payment of one of the country’s most important services: public transport. According to an article published by Cripto247, Altoviaje and Bitex successfully closed a strategic partnership that would allow users of public transportation to reload their SUBE card with Bitcoin. Altoviaje is in charge of managing the platform on which the cards are refilled, whereas Bitex is a fintech that started its operations in 2014 and is in charge of converting the BTC to a fiat balance that can be registered by Alto Viaje almost instantaneously. “We believe that this type of project is of great importance since it brings technology as disruptive as bitcoin to the average people, demonstrating the real value and the applications it has in everyday life. For his part, Luciano Verardo, Director of Alto Viaje expressed that the acceptance of Bitcoins as payment allows to expand the services of this company and reach a more significant number of users. From Alto Viaje we want to offer safe and innovative services, the alliance with Bitex allows us to integrate the payment with bitcoins and new possibilities of financial inclusion for people and companies. 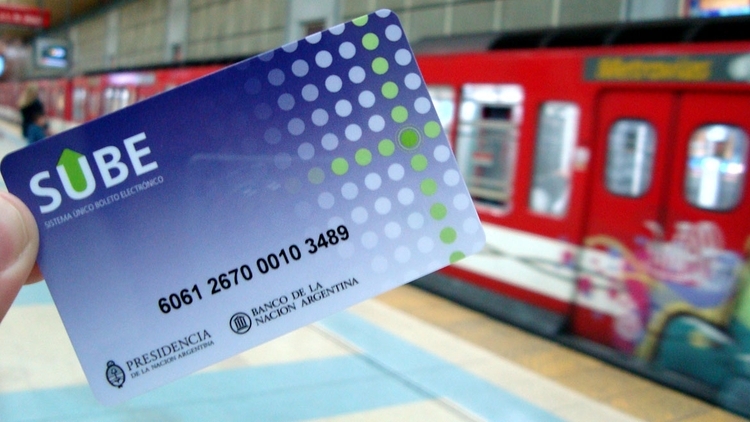 SUBE is the card that allows people to pay for journeys by bus, subway, and train. It can currently be used in 37 locations in the country. So far Argentina, like Venezuela, has seen in the use of cryptocurrencies a solution to rising inflation and the financial crisis. Argentina is currently the country with the worst inflation in Latin America, surpassed only by Venezuela.